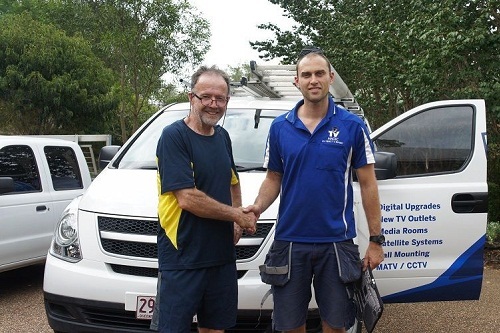 Daniel Ryan has been involved with TV installations, TV aerial installations on the Gold Coast since 2008. Daniel as a very successful business owner had his own company developing and engineering the finest, state-of-the-art software programs that blew Microsoft out of the water and literally transformed the way Large companies ran thier businesses. 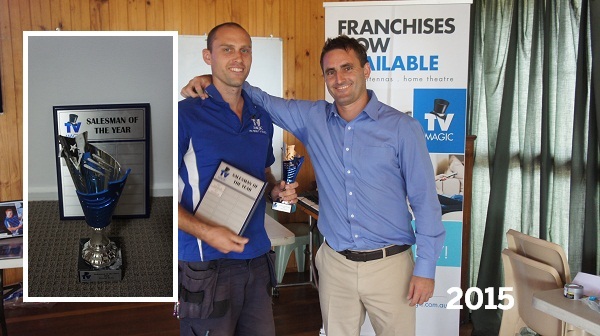 Whilst Daniel has been actively involved with TV Magic and the TV Magic supply chain since 2009; Daniel saw and took advantage of the TV Magic Franchise opportunity in late 2013. Daniel is one of the most thorough and 'attention-to-detail' experts in our field, picking up new technology quickly and changing the way all our customers watch & experience TV - making our existing systems even better which our customers are absolutely grateful for. When Daniel is not working he enjoys health, excercise, computers, family & travelling. A true quiet & high achiever. Daniel Ryan shortly after built his own extremely successful company helping various businesses in South East Qld systemise and 'AUTOMATE' their businesses, halving; even reducing large company's costs by as much as 1200% which led to staggering bottom line growth. TV Magic founder teamed up with Daniel Ryan with the development and birth of the TV Magic supply chain - Cable Magic. 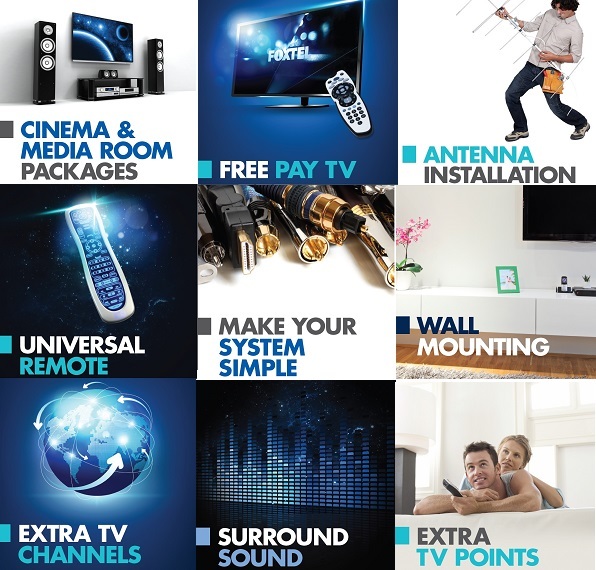 Cable Magic is now a Nation wide importer, wholesaler & retailer of TV cables & home theatre accessories. Daniel Ryan is now in a 50/50 partnership with Cable Magic. 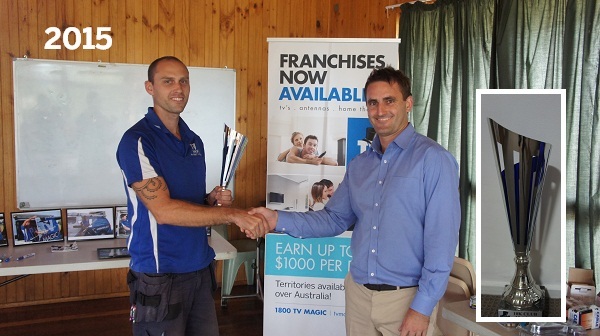 Daniel Ryan now services the Gold Coast region delivering outstanding customer service. 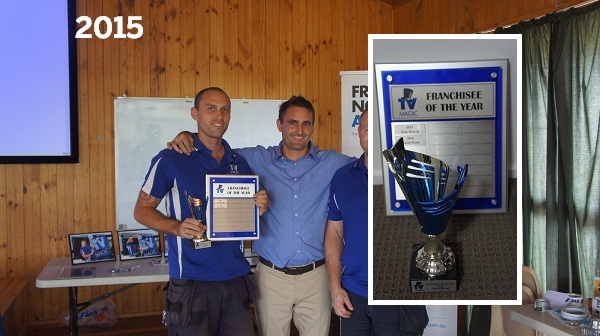 Daniel wins Franchisee of the Year for the second time in 2015! 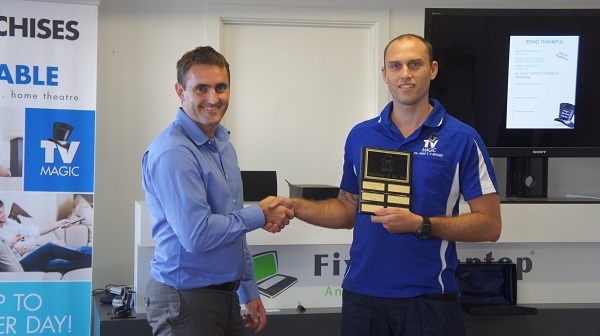 Daniel wins and smashes the company record for Salesman of the Year for the 2015 calendar year!! Daniel once again wins and smashes his previous record for salesman of the year for 2016 for the 3rd time in a row! What were you doing with yourself before TV Magic? "Sytemising and automating businesses with custom made IT solutions"
Sounds fancy! What's your favourite TV Show? "Rick and Morty"
Tell us something that not many people know about you. "I enjoy going to trampoline parks and getting amongst it "
Your favourite experience with a customer? "I'm a show off so fixing their problem really quickly after they've tried themselves for hours is a favourite." Go-to TV snack? "M n ms"
Describe your average day in three words. "Fast, busy and rewarding"
Next week's technician spotlight will be with the other half of the Gold Coast's power duo, Paul! Book in or enquire about any of TV Magic's services via our website.